Hi guys! It is almost Christmaaaaas! And a few days ago, Winter officially started although it feels like Spring in Belgium. A new season means new collections and new collections mean picture-heavy posts. 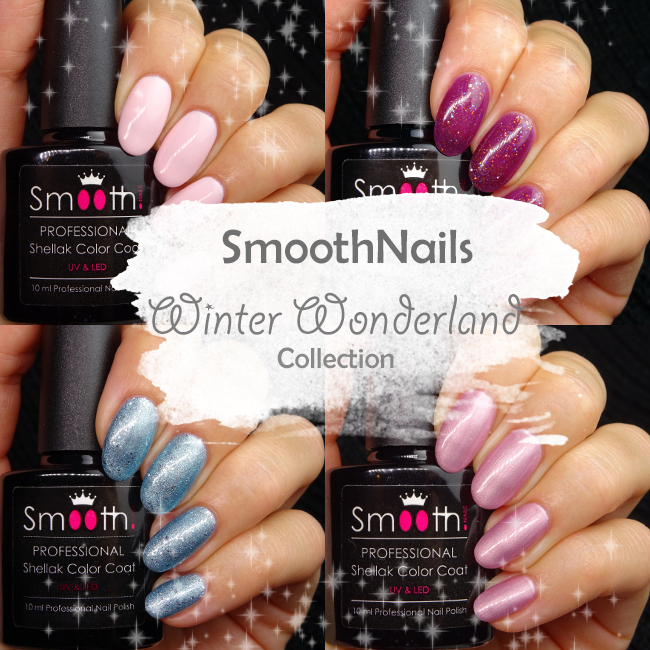 In today's post I will show you swatches of the brand new Winter Wonderland Collection by SmoothNails. 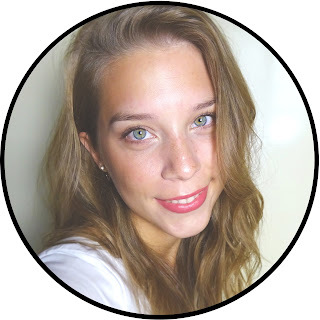 In this collection there is a frost, a metallic-y glitter, a jelly glitter and a crème, so there is something for everyone, really. All the colours go wonderfully well together but look gorgeous on their own, too. Alright, without further ado, let's move on to some swatches, shall we? 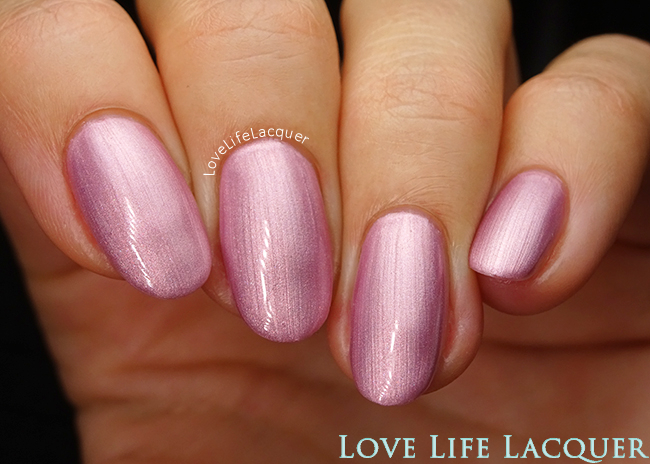 Mystique (80609) - Mystique is a mauve pink frost polish. 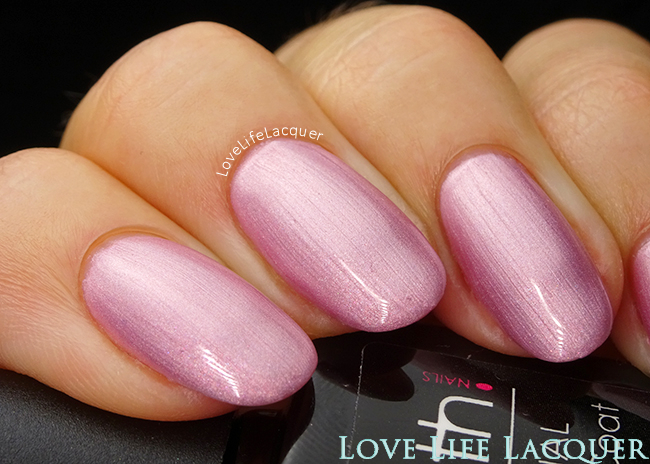 At first, it is one of those typical granny polishes, but when you put it on your nails it transforms into this mysterious, classy and super feminine colour. I would say it is perfect for everyday wear, for work, school, anything. 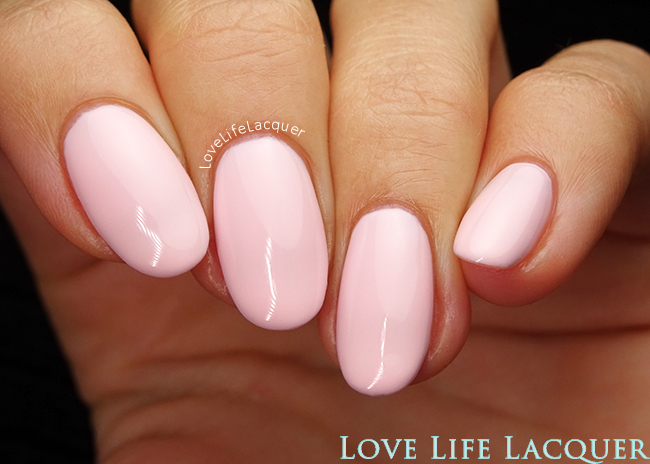 When applying Mystique, be careful to float the brush over the nail, especially when you are doing you final coat. 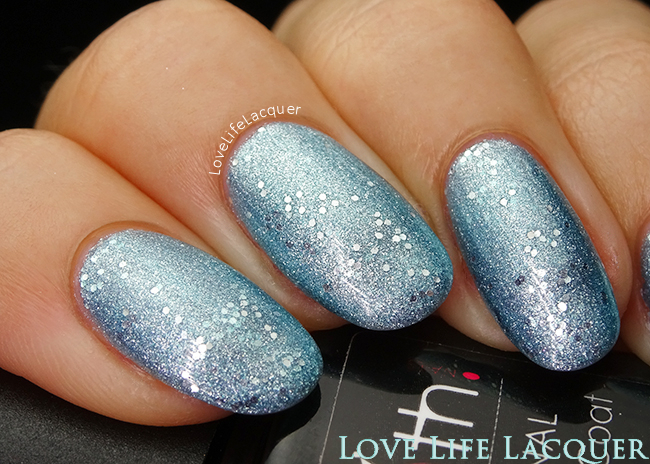 And because this is a frost, it is not very forgiving, however do not let this stop you from trying this beauty! ;-) This is 3 coats. 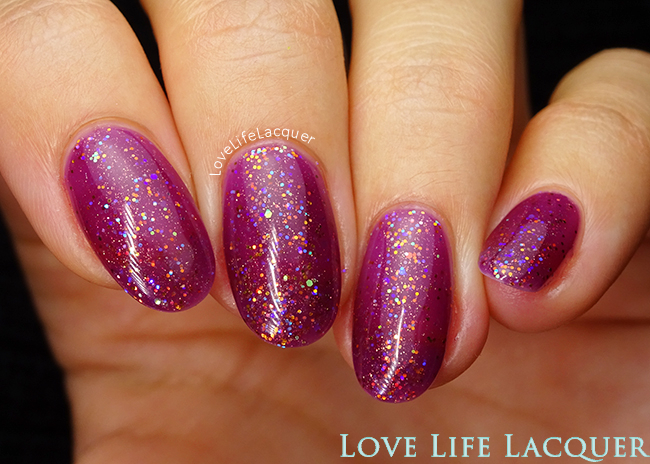 Iced Lights (80610) - Iced Lights is a sheer plum jelly base filled with gold shimmer, iridescent glitter and bronze-y gold glitter. 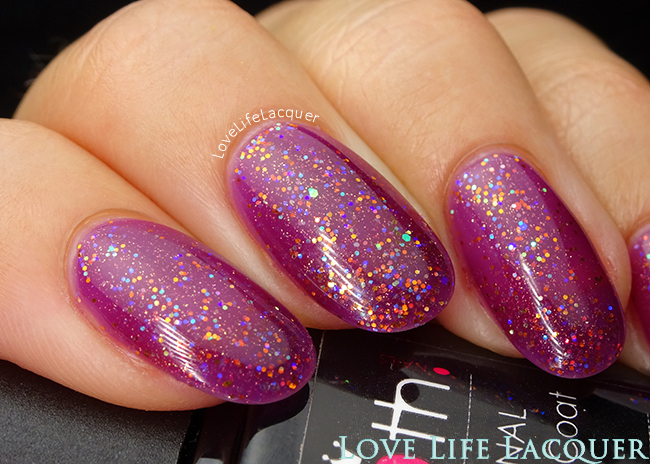 This colour reminds me of the sugarplum fairy, so glittery! But it is sheer, very sheer and it cannot be build up to complete opacity. However, it still looks good. And it is gorgeous layered over a darker shade, too. I will post some pictures soon, pinky promise. This is 4 coats. 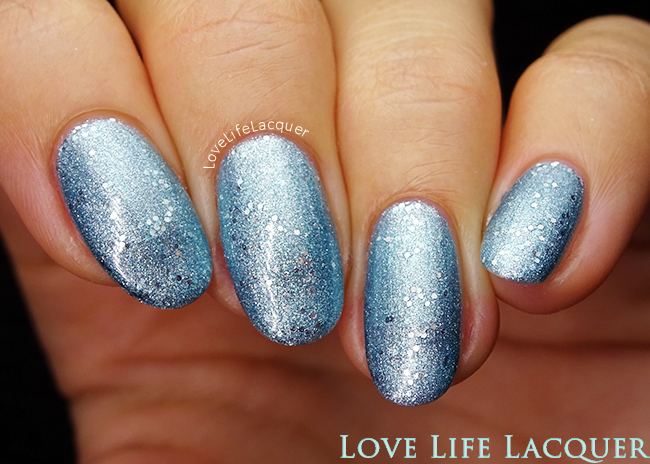 Northern Lights (80612) - Northern Lights is a ice blue frost base filled with silver shimmer and silver glitter. First thing that comes to mind... FROZEN! This is the perfect Elsa shade. Thanks to the glitter it is a lot more forgiving than a true frost like Mystique, but it still might be a liiittle streaky. Just a little. This is 3 easy coats on its own. Overall: a great collection perfect for the cold (or not so cold) days. And a wonderful gift, wink wink ;-). Each colour sells for €12,95 and when you get the whole collection it is only €39,95. A steal! But wait, there is more! If you use my coupon code LoveLifeLacquer10 you get 10% off of your order. YAAAASSSS!